Without a doubt, this is one of the most dull movies on the list. 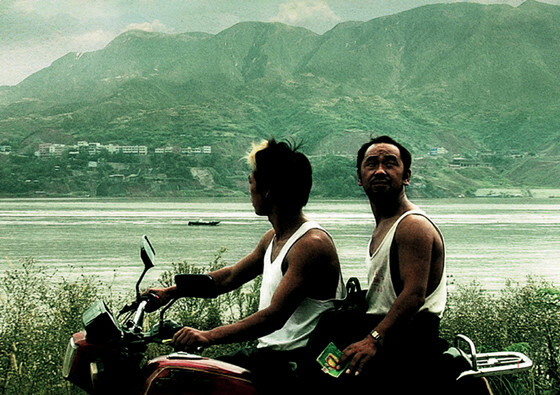 Jia Zhang-Ke makes a small record of the life of the residents of a village. Following a train of thought a bit different from the other Asian authors like Kim ki-Duk and Wong Kar-Wai, the director adopts an estile that conservers reality, with almost none artistic interventions through editing. Still Life is about a small villa that is gradually being flooded by a river. A man and a woman go back to the village to look for their spouses. It may seem like a movie that get into the subject using pure drama, despite what happens is the complete opposite: here, the acting gets close to a documental aesthetic. The movie gets closer to the fantastic genre at some points, which distinguish from the documental language used in most parts of the piece. 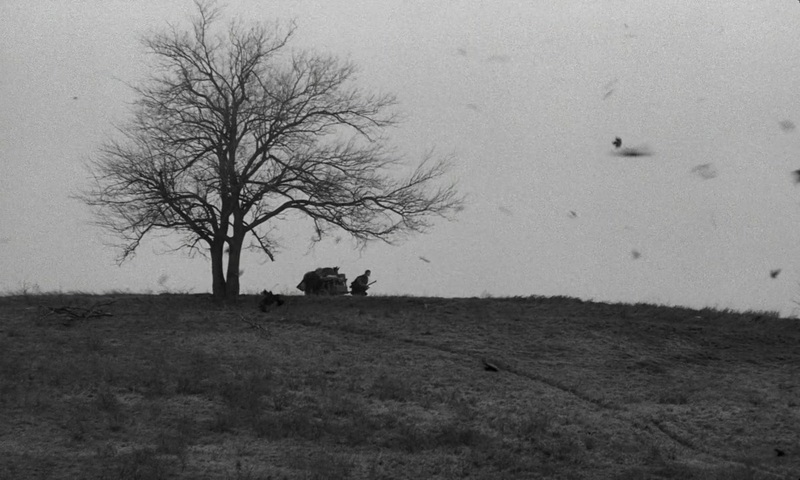 Characteristics like the observing camera and long takes that fortify the acting can also be observed in Andrei Tarkovsky’s filmography. The movie got notorious at Venice’s festival, winning the Golden Lion. Inspired by the life of the Gregorian poet Sayat Nova, Sergei Parajanov does an allegory of the artist’s work. Deconstructing the biographical genre, the director goes against the realist movies made in his country and time: here, Parajanov stylize all he can, from costumes to the movie editing. The color of pomegranates is a mystic interpretation of Sayat Nova’s life, Covering the writer’s life since his childhood, it makes noticeable all the paths he chose in life that had an influence over his pieces – like the break of his bond with religion. Furthermore, the movie starts approaching his youth and his stay in king’s Heraclitus II court. 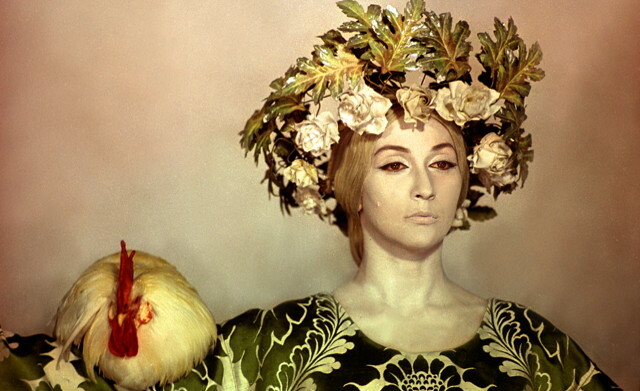 Of an stunning beauty, Parajanov’s piece studies the artist until his last days, in which he stayed on a monastery. It is clearly a sensible movie. The narrative is in the background, as the unconscious emotions and feelings take the spotlight in terms of viewer reception. Taking this in consideration, the spectator may easily get bored with so many disconnected images. Its scenes, of exceptional beauty, are made by an expressive art direction and deconstructed editing, that discard all rules of spatial orientation. In short, The color of the pomegranates is about the construction of the artist’s psyche, and also of the piece itself. Being one of the countless masterpieces of the soviet master Andrei Tarkovsky, Stalker is clearly the pinnacle of his cinematography. With his usual philosophical thematics and the almost observing camera, Tarkovsky keeps a conformity in his filmography as a hole. Adding all his usual language traits to series of dense dialogues, Stalker is a genuine mark in the world cinema. The movie is about three travelers that enter a territory forbidden by the government: The Zone. The “Stalker”, the one that guides the others, takes two other men with him: “The Professor”, and “The Writer”. According to some tales, inside The Zone is a room which whoever enters have their wishes to come true. Undergoing situations that cause danger to their lives, the three debate about their motivations to enter in a place forbidden by the government. As is typical to his movies, the narrative possesses few dramatic curves, being basically sustained by brilliant dialogs that question the human rationality and faith. With minor action, the movie requires a great amount of attention to the viewer, as the most dramatic parts are not strong enough. Besides, its long duration – the movie has 2h40min -, added up to its essayist and poetic, his very long takes without any camera movements and edition end up dilating, making it easy for the average viewer to get bored. This is, certainly, the most controversial movie of the list. Considered by some one of the best 2010’s movies, others deem it to be just another pretentious delirium of Terrence Malick. The drama, that has in his starring actors names like Brad Pitt and Jessica Chastain, also counts with the masterly cinematography by Emmanuel Lubezki, which has a powerful aesthetic and (non) narrative to be considered a masterpiece. In Cannes, for example, Malick was applauded and won the public over. Starting with images of the universe genesis, the movie suddenly starts taking place in the 60’s. In this context, lives an extremely patriarchal and strict family strongly based in religious dogmas. An ellipsis puts the viewer into nowadays, where one of the children, now a famous architect, thinks about his childhood. Going beyond, a giant flashback puts the movie to the expansion of the milky way and on the jurassic period. The movie keeps travelling between these countless – and apparently disconnected – universes. The film has a almost non narrative script, since there are few dramatic curves during the movie. Its multiplot full of flashbacks and flashforwards, added up to the almost lack of correlation between the spatial transitions, end up easily disorienting the viewer. Malick uses a essayist and non-conventional direction, that doesn’t follow a spatial orientation. 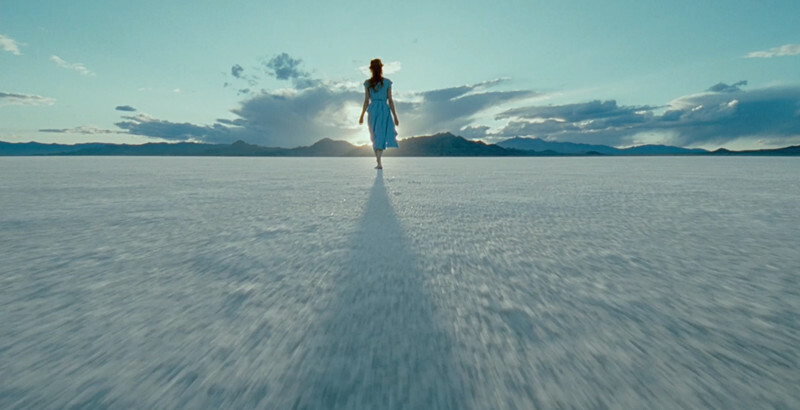 Moreover, Lubezki’s cinematography stays away of what’s considered an ideal vision: distorted with extremely vivid colors; in that way, the image gets even more confusing, making the viewer easily distract from the movie. One of the most challenging cineasts of the postmodern cinema, Béla Tarr, now, goes beyond: a study about Friedrich Nietzsche’s philosophy. Known as an experimental and poetic director, the Hungarian keeps his marks in The Turin Horse. Made in 2010 and in black and white, the movie challenges the spectator’s patience until its last minutes. The piece narrates the story of two potato farmers, father and daughter, in a post-apocalyptic society. There, they live their daily and exhaustive routines, taking care of their wild horse and always going to a well to get water. Suddenly, they are visited by a nearby city resident, which blames God and mankind for the apocalypse and the destruction of his villa. Father and daughter start plannig to escape the farm, but soon go back to their daily lives. 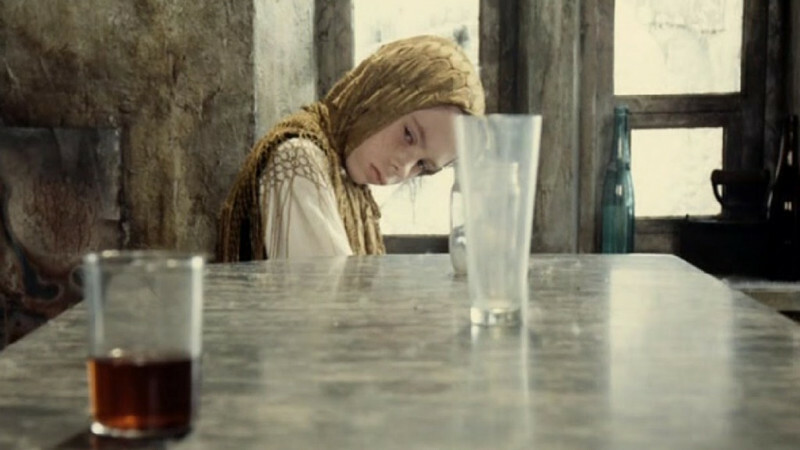 The strong point of the movie is Béla’s ability to instigate the viewer. His direction, that opts for long and static – like the one in which the neighborhood appears – is, without a doubt, what causes strangeness to the spectator. Silent takes longer than 15 minutes are frequent. When there are dialogues, they are dense and, in its majority, allude to Nietzsche’s philosophy. Using all these characteristics, he creates an intriguing, astonishing and, above all, tiring narrative.